Costa Connected | Do iWatch or do iWaitAndSee? Local Disasters and Social Media: Lessons from the fire on Montgó Is it still safe to use eBay? Do iWatch or do iWaitAndSee? Sorry for the pun, and I know, it’s not even called that – the big new product announced from Cupertino earlier this month will be known as the Apple Watch. A whole new product line unveiling from Apple is of course a big event, and the fanfare of the keynote announcement created extensive media attention (despite the failure of their broadcast livestream at one point). As well as the wearable there were two new iPhones released, and the NFC payment integration which will be known as Apple Pay – arguably this was the most revolutionary new product, I’m sure we will come back to this at a later time – but for now it’s only going to be usable on the new iPhone which isn’t yet released, with certain outlets/retailers, entirely in the US… its relevance to us here remains to be seen. So despite Apple’s foray into the phablet market, it seems likely that this months keynote will be remembered for one thing only: the launch of Apple Watch. It is clear that their intention is that this should become a mainstream consumer device, and backwards compatibility is provided down to the iPhone five of which there are millions in circulation globally. 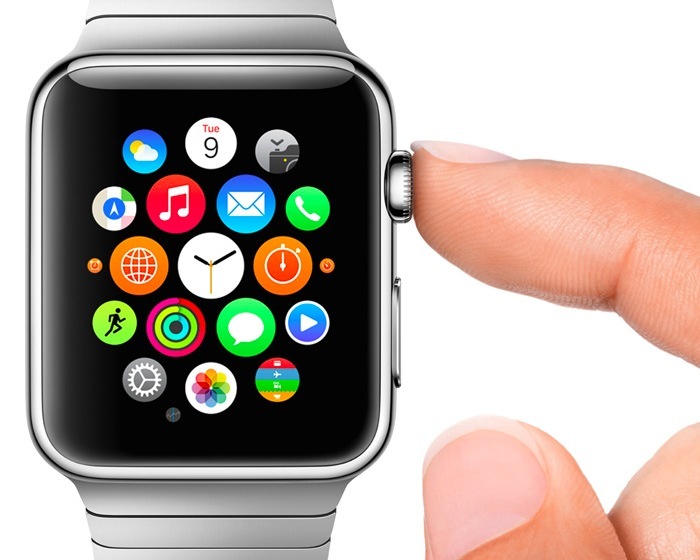 But who will buy the Apple Watch, and why? We just don’t have enough information to answer that question yet. What do we know? The watch is being released in three distinct editions, with a number of different options within each of these basic model is set to retail from $350, and nothing has been said about the other prices. There’s a sports model which has more emphasis on the fitness and health tracking, and also a luxury model which has 18 carat gold in the bevel – which we may expect to be competing cost-wise with the luxury watch market. We can expect the cost base and release dates to be fairly consistent globally (Apple only likes to leverage geo-arbitrage when it comes to getting their manufacturing done in the Far East). So why announce the Apple Watch now, when there is no physical product available to ship until an unspecified number of months in the future? Well, the main reason is because they want it to ship with a well-developed app ecosystem to support it, so they announced it now in order to give the developers a chance to respond. They have a big job ahead, as they need to respond to an entirely new interface -using the scroll wheel at the side of the device to functional on a far smaller screen than any other. Indeed arguably what was missing from the Keynote was the availability of a “killer app” that would let you do something amazing and new with the watch, that you cannot do with your iPhone or iPad easily enough already – sure it will be cool to pay things using your wrist rather than your phone, unlock certain hotel rooms or find your car… Apparently you can even tell the time on it! But why would you need to do all this on your wrist? Even regarding the latter, I haven’t worn a wristwatch since… well, probably since I first got a smartphone. I believe what Apple are attempting here is to define a whole new category of device, something far more than a timepiece – and the success of similar attempts like the Pebble and various other smartwatches shows there is a potential space here. I can hear all the naysayers muttering that they have managed all their lives without this kind of product though, so why do they need one now? But this is asking the wrong question, because along with the new apps the use cases will emerge. Four years ago we all managed just fine without iPads, but now I and millions of other people use theirs every day, sometimes for activities we used to do with other tools and other times for things we could not have imagined… innovation takes a bit of imagination, and open-mindedness towards the unknown unknowns. Everyone has a different personal philosophy for technology adoption, and I am an unashamed novelty-seeker and early-adopter – well, I have to stay up to date for my readers, don’t I? I can’t wait to see how the launch of the Apple Watch goes next year – but I probably won’t be queuing up on the pavements to get one. Too many factors are still not clear: Battery life was not addressed in the announcement – just how easy it is to charge overnight, which does not bode well for longevity. And if it requires continual Bluetooth connection to my iPhone there’s another battery factor to consider! Is it waterproof? Because I drowned my last Fitbit, and thank goodness that didn’t cost over €300. If it isn’t waterproof they are going to alienate a lot of serious athletes in multi-event training, (or people like me who are very unathletic but like to swim a lot and forget to take stuff off). I will look forward from the first real user feedback on navigating that tiny screen, using miniature apps, and just how strong that sapphire screen is in daily use strapped to their wrists (before I had more expensive gadgets to destroy I certainly broke a lot of wristwatches over the years). Perhaps I’ll decide to wait for the Apple Watch 2 – which is never a bad move in any such innovative category.